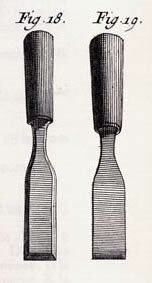 An example of two types of framing chisels from Diderot's Encyclopedia. 12" long, 1 1/2" edge. Signed, "W.GRAVES & SONS SCMBAPWORKS; ELECTRO EDRACIL STEEL." 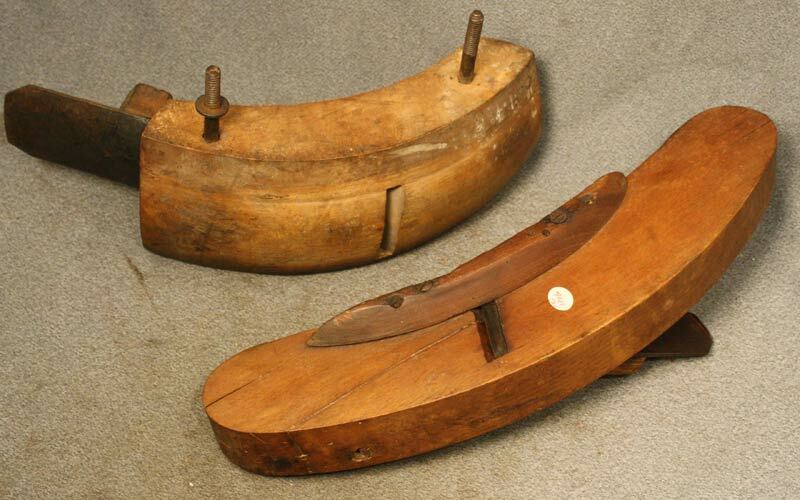 13 1/4" long, 2" wide, 5/16" thick, signed "THE JAMES SWAN CO" "SEYMOUR, CT. U.S.A." "DOUGLASS MFG. Co", 1859 - 1877. 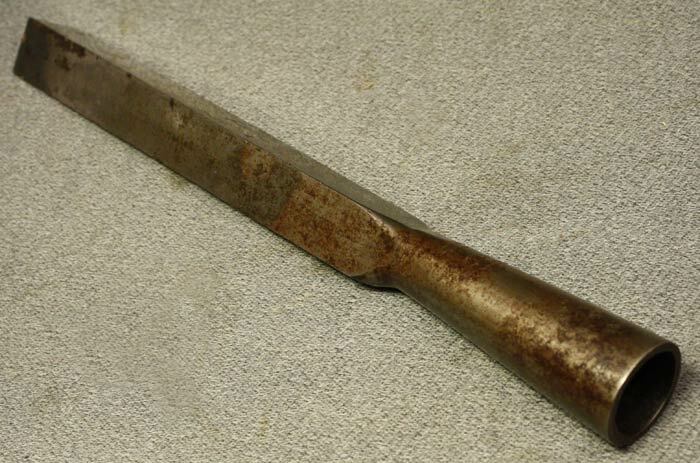 This chisel is double marked with both Charles Douglass and James Swan's marks. Douglass was operating in Seymour from 1859 to 1877 when Swan bought him out.